Through hundreds of vibrant color photographs, this unique resource illustrates how the appearance of fruits and vegetables changes throughout their postharvest life and how storage temperature greatly contributes to critical quality changes. The effects of time and temperature on the postharvest quality of fruits and vegetables are visually depicted in the Color Atlas of Postharvest Quality of Fruits and Vegetables. Through hundreds of vibrant color photographs, this unique resource illustrates how the appearance (eg, color, shape, defects and injuries) of fruits and vegetables changes throughout their postharvest life and how storage temperature greatly contributes to critical quality changes. The book’s extensive coverage describes 37 different fruits and vegetables from different groups that were stored at five specific temperatures and photographed daily after specified elapsed periods of time. 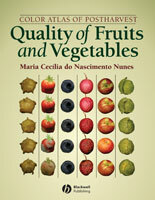 Information is provided about each individual fruit and vegetable such as characteristics, quality criteria, and composition; recommendations for storage, transport, and retail; and effects of temperature on the visual and compositional quality of each individual fruit or vegetable, associated with photos of the appearance at particular times and temperatures. This visual documentation shows how important is to handle fruits and vegetables at the right temperature and what happens if the recommendations are not followed. Also shown is the importance of the initial harvest quality of the fruit/vegetable and the expected shelf life as a function of quality at harvest, storage temperature, and storage time. The Color Atlas of Postharvest Quality of Fruits and Vegetables will appeal to a diverse group of food industry professionals in the areas of processing, distribution, retail, quality control, packaging, temperature control (refrigerated facilities or equipment), and marketing as a reference tool and to establish marketing priority criteria. 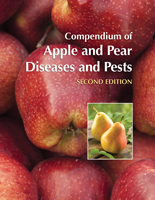 Academic and scientific professionals in the area of postharvest physiology and technology, food science, and nutrition can also use the book as a reference either for their study or in class to help students to visualize changes in the appearance of fruit/vegetables as a function of time/temperature.